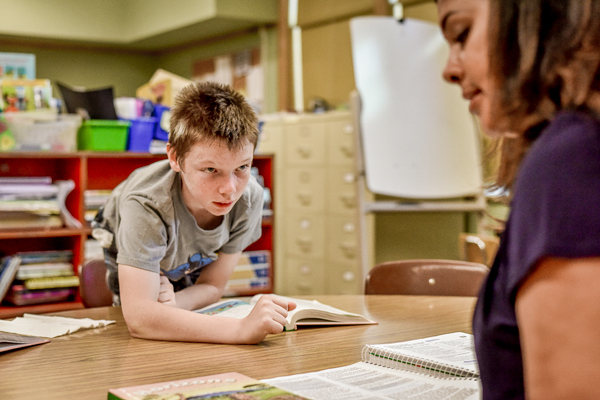 Fifth grade graduate Eric, who has dyslexia, used to “hate reading” because the words moved around on the page. 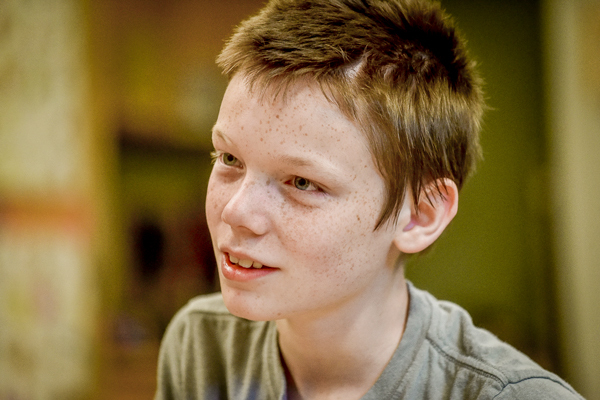 But this fall, Eric heads to Jackson Middle School as an avid book lover who is reading at grade level. During silent reading, while the rest of the class quietly read to themselves, Eric would slip a piece of paper into his book to draw squiggles. But after Eric was assigned to the learning center with LaShell Holton in third grade at Portland Public Schools’ Markham Elementary, he learned perseverance as he worked toward small reading goals. “Eric was so frustrated when I first met him because he was behind his peers,” said LaShell. “The Shadow Project gave Eric the daily opportunity to be acknowledged for his effort, and he really looked forward to the opportunities to shine, which made a difference in his learning and behavior. Jackson leopards, here comes Eric!